Hot Spots get in the spirit (get it?) 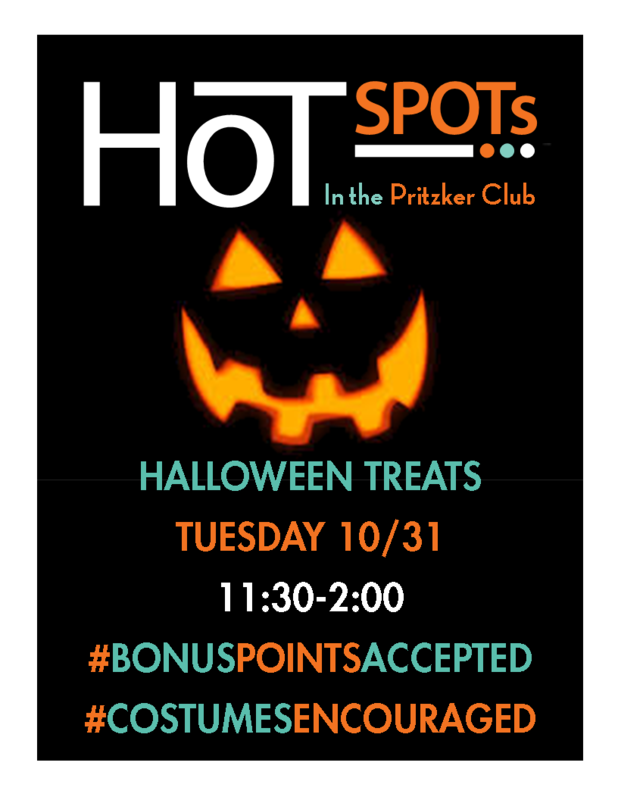 with Halloween Treats on Tuesday, October 31 from 11:30 a.m.–2 p.m. in the Pritzker Club. Anyone in a costume will receive a discount off their order.